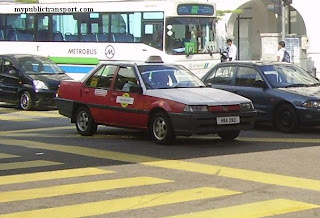 Metrobus routes cover between the Kuala Lumpur city centre and the surrounding areas. Due to the time table are not fix and fares structures are different between areas, therefore, the bus services are unreliable. Lack of sources of information cause the routes are not well known. Therefore, the following guide is just a reference and mypublictransport.com will not responsible to any inconvenience cause. However, the informations below are adequate to provide basic references to the public transport user. Further information regarding of Metrobus can be obtained here. nak tanya...erm untuk pergi kg pandan bas no.32 tu tunggu bahagian mana? ?arah ke sogo atau lain?? if you from City Centre, you need to wait at direction towards Pudu or Jalan Cheras. It will use Jalan Pasar and Jalan Pandan towards Kampung Pandan. sy nak tanya,ada tak metro bus berenti kt bus stop depan masjid negara?kalo tak ada, ada tak perkhidmatan lain cth rapid kl,etc utk g sna? No Bus go to Masjid Negara. You need to take a cab from Pasar Seni LRT Station. how am i going to wisma kpmg from section 5 kota damansara? 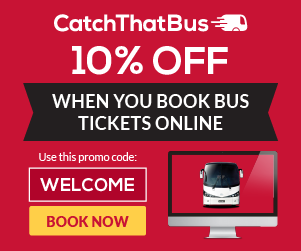 what bus do i need to use? saya ini dari sunway pyramid nak pergi ke sri petaling, tapi bus yang no.berapa boleh sampai ya? kena tukar bus tak ? Which part of Sri Petaling you want to go? From Sunway Pyramid you can use U63 or U67 to Mid Valley, go opposite of the Federal Highway and take U71 to Sri Petaling. However, if your destination is near to LRT Station, then you can use LRT. btw, what if i want to go PWTC from sunway ? you can take u623 to kelana jaya lrt station and take lrt to masjid jamek. then change to sentul line and get out at PWTC stop. i need to know operating hours of metro bus no. 43. thinking of using the bus from amansiara, selayang to masjid jamek. saya nak tanye, takde ke bas metro yg pergi ke puncak alam? very sick with rapid kl! saya dari bukit damansara perlu ambil 4 bas utk ke puncak alam. dari bukit damansara - kl sentral, kl sentral - shah alam (90), shah alam - uitm puncak alam (91) & uitm puncak alam - perumahan puncak alam (600). too bad their dont have bus from kl sentral or shah alam to puncak alam. i need to take uitm bus first to perumahan. crazy! hope next time metro bus will have services to puncak alam area. tq! HI, can u tell me which bus that goes to plaza kelana jaya? Which university do you mean? halo, wan to ask how to go to sunway piramid from kota raya or kl sentral. From Kota Raya you can use MEtrobus 10 or 13.
you think i should go for the metrobus or rapid???? and if i take metro whr i can find metro 10 and 13 ya????? If you are from Puduraya, you can see Metro 10 and 13 park at MCDonalds and opposite of Kota raya. There is no difference but usually Metrobus only move when their buses are full but RapidKL frequency is lower than Metrobus. 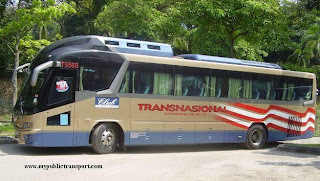 Hi, i would like to know wat number of bus i can take from kuchai lama to kl city? 1. from Sunway Pyramid to PJS 1,Taman Petaling Utama? 2. And from PJS 1,Taman Petaling Utama to Setia Jaya KTM Station? 1. From Sunway Pyramid you can take RapidKL U63, U67 or metrobus 10, 13 to Federal Highway and stop near to Amcorp Mall, then walk to Taman Jaya LRT Station to take T505 to PJS 1. Actually there are U76 directly to PJS 1 but I not sure whether it can stop at the highway to let you down. 2. You can take KTM from Jalan Templer Station to Setia Jaya KTm Station. i want to ask, how do i go to Sri Petaling LRT station, from Puchong IOI. You need to take either U60, U69, or U70 to Old Klang Road after the Kuchai Lama entrance. Then switch to U71 to Sri Petaling LRT Station. 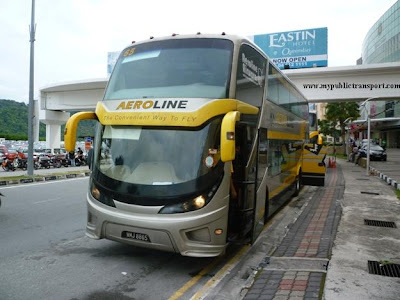 selamat petang..i nak tanya ada bus dari puchong ioi mall pergi bandar puchong jaya tak? From IOI Mall you can use RapidKL T506 to Bandar Puchong Jaya. I am a UPM student and live on Jalan Munshi Abduallah, mear Masjid Jamek. I have seen bus 17 goes to UPM. Could you Please tell me the time schedule of the bus and from where I should get it and how long does it take from Masjid Jamek to UPM? From Jalan Munshi Abdullah you can walk to Kota Raya and take Metrobus 17 to UPM. The bus depart every 30 minutes and it took about 45 minutes to reach UPM. The problem of them is once they reach Sri Kembangan, they will drive with speed of 10-20km/h. erm..kalau dari rawang nak ke ula yam bharu(kalong tengah) macam mana ye?? You can use Metrobus 43A but I not sure how is the frequency now and whether it still operate. You can use Metrobus 13 or RapidKL U67 for return journey. hye..kalau sya dari kota damansara seksywn 4, nk pergi ke damansara perdana, bus no brape? then dr damansara perdana nk blk ke kota damansara, naik bus yg sme ke. From Section 4 Kota Damansara, you can use U88 or Metrobus 99 to One utama, then walk to One Utama Bus Terminal for RapidKL U86 to Damansara Perdana. U86 is a low frequency bus that you need to wait for long time. From Damansara Perdana to Kota Damansara, you can use the same bus. i want to go from sunway pyramid to USJ 12 or USJ4..what metro bus should i take? You can use RapidKL U67 or Metrobus 13 and stop at Persiaran Tujuan for USJ 12 and USJ 4. Erm...go bus go to Akademi Seni Budaya Dan Warisan Kebangsaan frm Genting klang? You can use any bus heading to city centre or use LRT to Masjid Jamek LRT Station, then use RapidKL B115 at Jalan Tun Perak to Art Academy. tumpang tanya...macam mana dari kota damansara nak pergi ke rawang?bas nombor berapa? 2. Use Metrobus 99, RapidKL U88, U89 to One Utama, then change to RapidKL U86 to Kepong Sentral KTM Station and use KTM to Rawang. 3 . 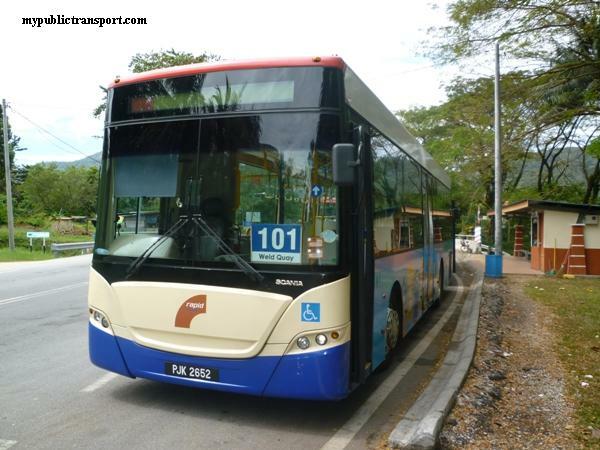 Only Metrobus 43 go to Rawang. So you need to get yourself to Jalan Hang Kasturi, Jalan Ipoh for Metrobus 43. Is there any transportation from apartment jasmine, subang shah alam ( mahsing area) to the curve? please advise. Assalamualaikum, nak tanya ni. Dari kepong sentral ke One Utama naik bas apa ? Nama bas dan nombor. Can someone please guide me if there is any route available from Taman Jaya LRT or Asia Jaya LRT to go to Wisma Celcom In Jalan Kamajuan, Seksyen 13 PJ. Dear Arslan, from Asia Jaya LRT Station you can use RapidKL T629 to Wisma Celcom, Jalan Kemajuan. may I know which bus I should take if I want to go Jalan SS 19/6, Subang Jaya from Subang Jaya KTM Station? hmm...where to wait for RapidKL U67 or Metro 13 if I want to go Mid Valley from Jalan SS19/6? can i know how can i go to SYEKSEN 13 PETALING JAYA from SUNWAY PYRAMID usinh bus or other public transportation..
From Sunway Pyramid you can use U623 to Kelana Jaya LRT Station and use LRT to Asia Jaya station. From Asia Jaya station you can use T629 to Section 13 PJ. macammana nk ke midvalley dari maluri? You can use LRT to Hang Tuah station, then switch monorail to KL Sentral. From KL Sentral, go near mobil and use buses that pass Mid Valley. Hi, can i know how can i go to taman fern grove from taman damai indah and to taman damai indah from PERSIARAN AWANA. If you mean Damai Indah Cheras, you can use U46 or U49 to Taman Segar Bus Hub and change U47 to Persiaran Awana. The return journey will be the opposite. Hi, you can use RapidKL U81 or Metrobus 9 to Asia Jaya (Federal Highway), then go opposite for Metrobus 10,13 or RapidKL U63,U67 to Sunway Pyramid. just want to let you know, there are some metrobus routes that have been closed. Metro 4, 37C, 77 and 98. coz I do not see any buses of these routes passing by Kota Raya or Sinar Kota. how can i go to putrajaya from kl sentral?or from pasar seni to putrajaya?which bus i should take n at what time? From Pasar Seni to Putrajaya, you can use RapidKL E4 or Metrobus 68. From KL Sentral you can use KLIA transit to Putrajaya. dari saujana utama sg buloh nak ke 1utama bagaimana eyh ? You can use Metrobus 101 to city centre, then walk to Pasar Seni for RapidKL U88 or Metrobus 99 to 1Utama. You can also use Metrobus 101 to Kepong Sentral then change RapidKL U86 to 1Utama, but U86 only come every 2 hours. You can use KTM From Setia Jaya to Jalan Templer station, then use RapidKL T505 to Taman Jaya LRT Station. sy dr leisure mall cheras nk ke midvalley mcm mn? You can use T405 or T408 to Tasik Selatan, then use KTM to Midvalley. You need to use KTM to Midvalley, then go opposite Federal Highway and use RapidKL U69, Metrobus 58 to Bandar Bukit Puchong. You can use Metrobus 101, RapidKL U4,U8 and U13 to Medan Tuanku. hai...saya nak tanya macam mana nak pergi rawang dari warta dan bas apa yang perlu saya naik? how long it will take from sunway pyramid to mid valley if use u63 or u67? is there any bus from section 2 shah alam to section 5 shah alam? 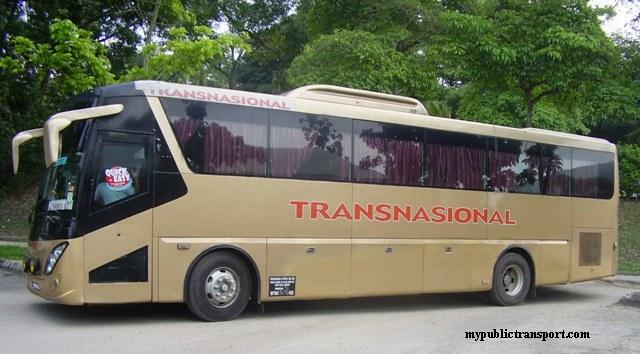 is there any bus from Pudu / Sinar Kota to Putrajaya? You can use Metrobus 68. From Kelana Jaya LRT station you can use RapidKL U623 to Sunway Pyramid. You can get the bus at ground floor of the LRT station and there is only one direction. From Sunway Pyramid, you can go to the place you get down just now and use U623 to go back to Kelana Jaya LRT station, then use LRT to PWTC (you need transit at Masjid Jamek). The return journey is just opposite from how you go. hi, blh x saya tau laluan untk bas metro68 tu? ada lalu chaw kit x?sbb saya nak pg hosptal serdang. No. 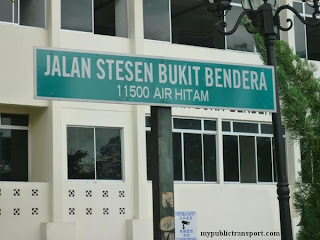 You need to go to Sinar Kota for the bus. Hey there! Can you please tell me if there's any public transport to get to Hospital Sg. Buloh from UPM or KTM Serdang? So far I've checked there's Selangor Omnibus that can reach the hospital directly, but this was suggested 3 years ago. I'm not sure whether such route still exist? Or is there any alternative route I can take? I'd appreciate your suggestion. You can use KTM From Serdang to Sungai Buloh. From Sungai Buloh station, you can use taxi to Sungai Buloh Hospital. This can save lots of your time. 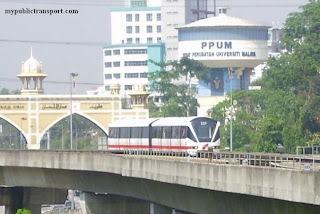 You can use Metrobus 9 or RapidKL U81 to Universiti LRT station. hai...i want to ask..is there any bas to sunway university? To save your time, I suggest the following way, you can use RapidKL U88 or Metrobus 99 from Jaya 33 to Ikano Power centre. Once you reach there, walk to Metropolitan square. Even though is quite far but it save you lots of resources. The only bus to Metropolitan Square is U86. It is departed from 1Utama with frequency of near 2 hours. Maybe you can check it out. i would like to know what bus should i take if i want to go to IOI mall puchong from Kelana Jaya LRT ? You can use RapidKL U43 directly from Kelana Jaya LRT to IOI Mall. However the bus only come once 90 minutes. You can choose to use LRT to KL Sentral and change to U60, U69, U70 to IOI Mall. is there any bus from kota damansara section 7 to subang parade? berapa lama perjalanan dari kl sentral ke sunway pyramid? naik bus apa ek? n berapa kos dia agak2 kalau naik bus? macam mane nak g ktm kepong dr greenwood ea? ataupon dr jalan semarak.. please help.. 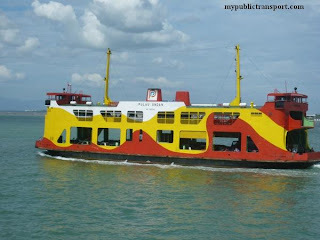 I would like to know if there is any public transport that go to telok panglima garang. Oh, in that case is there any bus that i can take to somewhere nearby telok panglima garang. Mayb i can take a cab from there to telok panglima garang. Hmm, i have another question here. How much does it cost and how long will it take to reach telok panglima garang if i take taxi from klang? That is quite a lot if i travel to and fro.Anyway thanks for your help. hi, how often metrobus no.10 or 13 and rapidkl u67 from usj 12? is it every 30 minutes? how much the ticket fee from usj 12 to midvalley if i take metrobus no.10? It is totally no shock at all, Metrobus cancel and reoperate their routes frequently. Sometimes a route maybe close but may reopened. Nobody can predict when this will happen. bus stop opposite ioi mall tu dh tukar ke mana? Hi, you can use RapidKL U84 from Kelana Jaya (depend where you from) to Mid Valley, then go opposite for U60, U69 or U70 to 3rd Mile Square. 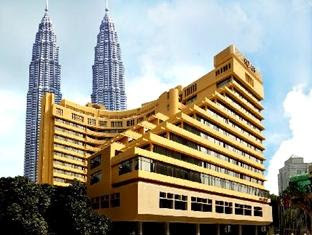 hi,i would like to ask is there any alternative way for me to go Hotel Istana from Segambut other than taking monorail. It is still better for you to use Monorail to go there. If you use bus you need to change and walk alot. bas 99 dari uptown lalu kat jalan sepah puteri 5/1 kan? Not really sure about this but they sure will pass by places nearby. may i know what bus or train can reach sunway pyramid from bandar manjalara or kepong? 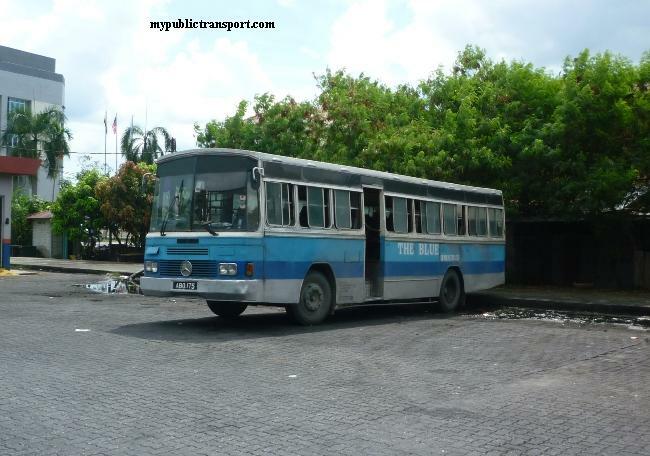 may i know from opposite Jalan Kuchai Lama kfc that bus hub to Taman Segar bus hub how was the directory bus? and need to change bus? may i know what bus can i take from pasar seni area @ lebuh ampang@kota raya if i want to MG Point,BT7 jalan gombak??? may i know what bus fron federal opposite freescale to sek 26 shah alam..
Actually no bus go into Section 26, the nearest would be RapidKL U65 from freescale to Persiaran Kuala Selangor. Dari Puduraya Sentral nak ke Kota Damansara nek bas metrobus no ape? Brape tambang bas kena bayar? hello.. 1st of all, terima kasih sbb ada website terbaik mcm ni. masalah sy, nak tahu naik bas apa ye dr LRT Taman bahagia PJ, nak ke pj trade centre ? 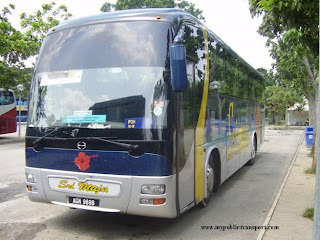 I would like to know what bus can I take from Summit, USJ, to any nearby bus stop nearest to Inti Subang or Sri Kl. Thank you so much. You can use RapidKL u63 or Metrobus 10. Stop near Lebuhraya Pantai Baru and walk to Inti or Sri KL. First, you need to use RapidKL t529 to Shah Alam bus terminal, then use U80 to Asia jaya, last go opposite for RapidKL U67 or Metrobus 13 to Section 13. Hi Sir/Madam, does Metrobus 13 route covers from Sri KL, or SJMC, Jalan kewajipan to USJ 1 ? I would like to know, what bus should I take from Klang Sentral to Bangsar (near Abdullah Hukum LRT station). 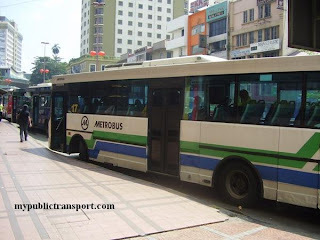 nak tanya metrobus no 16 jam berapa operate? You can use RapidKL U90 from Klang Sentral to Shah Alam bus terminal, then change U80 to Bangsar. 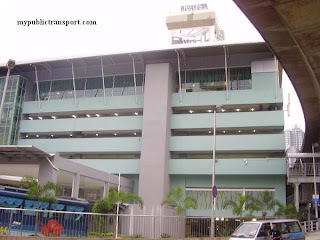 hi, may i know how can i go to wisma mah sing by bus from chan sow lin lrt? how to go jaya 33 from sunway pyramid? You can use RapidKL U63 or U67 to Asia Jaya (federal Highway), then go opposite to Jalan Utara for RapidKL U88 or Metrobus 99 to Jaya 33.
hi mypublictransport, I really want to know, how can I get to Section 14, PJ from Jalan Universiti, Section 16 by MetroBus. Please help me. Thanks. Which part of Section 14 you want to go? You can use Metrobus 12 or RapidKL U85 to SS2, then use RapidKL U88 or Metrobus 99 to Section 14. If the place you want to go is near to main road, you can just use T629 from your origin to Asia Jaya LRT station, then walk to Section 14. You can use KTM or Selangor bus to Sungai Buloh. HI..can u help me.. how can i go to sunway piramid, if i from KTM Serdang ?? You can use KTM to KL Sentral, then come out from KL Sentral and use U63, U67 or U76 to Sunway Pyramid. Hey there, I want to ask. is there any public transport from Pekan Rawang to SK Sinaran Budi? if there is the way, can you explain it to me? 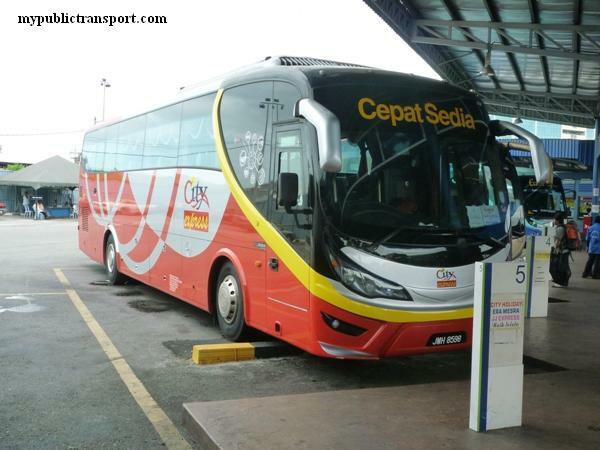 is there any metro bus that i can take to go to Taipan from Komuter Subang Jaya? is there any bus from sunway pyramid or KTM Subang Jaya to SMK USJ12 or Sime UEP Industrial park? may I know which bus I should take if I want to go TAIPAN 1, ARA DAMANSARA from TAMAN PERINDUSTRIAN USJ 12...? You can use RapidKL U67 or Metrobus from sunway pyramid or KTM Subang Jaya to SMK USJ12 or Sime UEP Industrial park. You need to walk to Persiaran Tujuan and use RapidKL U67 or Metrobus 13 to Subang Parade, then use RapidKL U623 to Kelaan Jaya LRT station, last use T607 from there to Ara Damansara. Hi, mypublictransport, I would like to ask what is the earliest operation time for metro 99 from kota damasara to Mid valley? Could you please tell me the bus schedule? Any public transport form shell kota damasara to kepong sentral KTM? What is the earliest operation time? The journey need how long time? Could you please tell me the bus schedule? 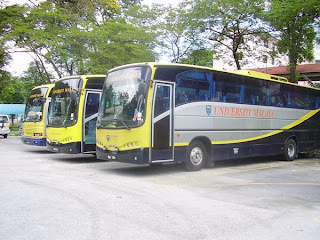 If I wanna go to Summit USJ which bus should I take from Stamford college, Jalan barat ? Metrobus 99 usually available from 5.30am. From Kota Damansara, you need to use U88 or 99 to 1Utama, then only use U86 to Kepong Sentral KTM. U86 only come every 1 hour so you need to spend more time on it. You can walk to Federal Highway and use RapidKL U63 or Metrobus 10. Hi, may i know which bus should i take if i want to go to Mid Valley from seksyen 6 Kota Damansara? You can use RapidKL U86. is there a bus route from kuala lumpur (pasar seni, kota raya, or places near by within walking distance) to nzx ara damansara? what is the fare?